The Downtown Miami Skyline is set to Change as Okan Tower Targets a 2018 Groundbreaking. It has been full steam ahead for Miami’s upcoming Okan Tower. The Urban Design Review Board gave the new luxury condo development the green light in October and the project’s Istanbul-based developers have been pushing forward with their sales and marketing efforts ever since. If all continues to move according to plan, the soaring downtown skyscraper hopes to break ground by the end of 2018. Conceived by real-estate developer Bekir Okan and his company Okan Group, the mixed-use project is expected to feature 153 condo residences and 236 condo-hotel units, which will be operated as guest rooms when their owners are away. The project will also include 294 Hilton-branded full-time hotel rooms, as well as retail and restaurant space. Once completed, Okan Tower would be the tallest building in Miami, topping off at 890 feet high. The 868-foot Panorama Tower is currently the city’s tallest building. 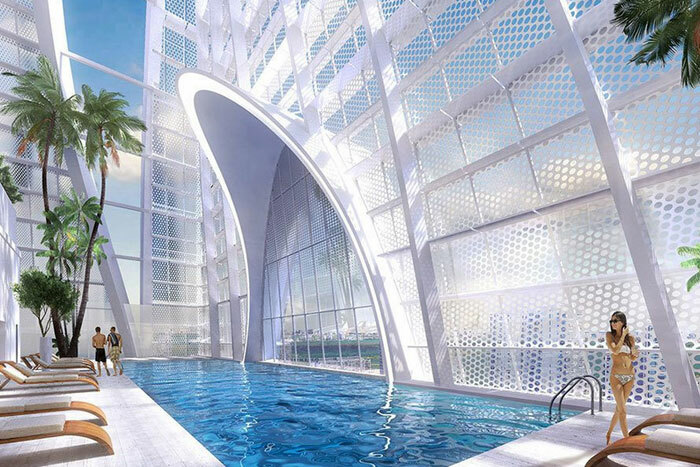 While Okan Tower will undoubtedly appeal to Miami’s traditional luxury homebuyers, its developers are hoping to also court investors from Turkey. Investing in the South Florida project could prove to be an attractive option for wealthy Turkish residents looking to secure their wealth away from the economic uncertainty facing their country after the reelection of authoritarian President Recep Tayyip Erdogan. Even the architectural design of Okan Tower is closely rooted to the developer’s home country. The exterior crown resembles Turkey’s national flower, the tulip. The development also lists a hammam (a traditional Turkish bath) among its list of many amenities. Other amenities at Okan Tower Miami include a spectacular elevated “sky-pool” on the 70th floor, a restaurant on the 67th floor, a state-of-the-art health and wellness center, a movie theater, a wine cellar, a cigar room, a children's playroom and more. Interested in Okan Tower, contact your new construction expert, award-winning global real estate advisor, Niki Higgins today at +1.954.817.2500 or nhiggins@spg.cc.